The 10 Best Consignment Shops in New Hampshire! If you’re looking for that perfect article of clothing or the perfect piece that fits your décor, consider checking out one of New Hampshire’s better consignment shops. And if you have upscale clothing or an array of household items and furniture you’re no longer using, check out the selling policies in some of these consignment shops. Not only will you lighten your load, you’ll make money doing so as well. 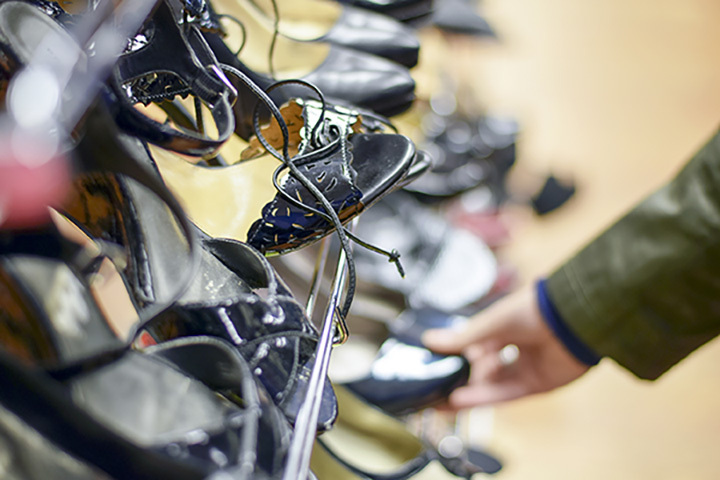 The following consignment shops are the best in New Hampshire. Featuring an upscale array of women’s clothing, bags and accessories, Wear House is housed in a stylish store than makes the process of sifting through their many items a pleasure. Customers get great deals on the items they buy, and those selling receive 50 percent of the sale of their items. Selling furniture, home décor, and jewelry, Consignment Gallery is probably the largest consignment shop in New Hampshire. Their 30,000-square-feet of space houses countless items. People love to check the place out regularly so as to scoop up the best finds. Don’t worry, though, with that much room, they have plenty to look through. Selling an eclectic array of furniture, home décor, art, antiques, collectibles, upscale handbags, jewelry and fur coats, Twice as Nice Consignments buys and sells fabulous items. Whether you need to furnish a room or outfit an entire apartment, you’ll find exactly what you need for practically any room at all. The handbags, jewelry and fur coats sell for way less than retail price, and the number of items is practically endless. If you’re seeking antiques, art, furniture, women’s clothing, jewelry or accessories, be sure to visit Hilltop Consignment Gallery. The 3,500-square-foot showroom is filled to the brim with lots of exciting, quality items from which to choose. Even though Esta sells some new women’s clothing and accessories, a good portion of their items are on consignment. All the clothing they take in must be in excellent condition, so customers have beautiful things to peruse at far less than the original cost. Appointments are necessary for those wanting to place items on consignment. Featuring women’s clothing from size 0 to size 26W, Twice A Lady outfits ladies of all sizes for special occasions. Mothers of the bride or groom and bridesmaids will be thrilled with the assortment of dresses. Young women getting ready to go to prom will love the options, too. Selling a huge array of furniture and home décor, Showcase Consignments also has lots of handbags and jewelry in stock. In addition to their consignment items, they also frequently have closeout furniture available, too. New Beginnings Furniture Consignment has three levels of upscale furniture and home décor displays. They frequently carry pieces by Ethan Allen and Thomasville. Only accepting like-new items for consignment, appointments are needed in order to sell. Selling a huge assortment of home décor and furniture, Olde Port Traders also features a small array of quality dishes and collectibles. In order to place items on consignment, send an email with photos and wait to hear back from one of the owners. Carrying only high end items, Emma & Co. Consignment Boutique sells women’s clothing, accessories, jewelry, handbags and footwear. The prices on these items are way longer than shoppers might expect. Prospective consigners should fill out the online form located on the website and wait for a reply.